I love to read. I genuinely get just as excited about a new book as I do a new video, tv show, or movie. It's the one thing that keeps me sane on my drives to and from work every day. I also like to push myself to read books out of my comfort zone. To both enjoy fantastic fantasy worlds but also read about history and culture. Although I don't always accomplish that I will say that 2017 was a solid year of reading and by mid-December, I completed my goal of reading 30 books for the year. As I look back on all of the books I've read in 2017 it's sort of an odd collection of reading. There wasn't one book on this list that I would say ten years from now I will think back on and want to read again. But at the same token, there are some books this year like The Hate U Give and American War that gave me a lot to think about and challenged me in ways books haven't done all that often. Each year I use GoodReads to track what I read and the reviews for books that I read. It's ironic that this year the shortest and longest books I read (the shortest was actually a graphic novel) were some of my least favorite novels of the year. Where as in 2016 they were my favorite. 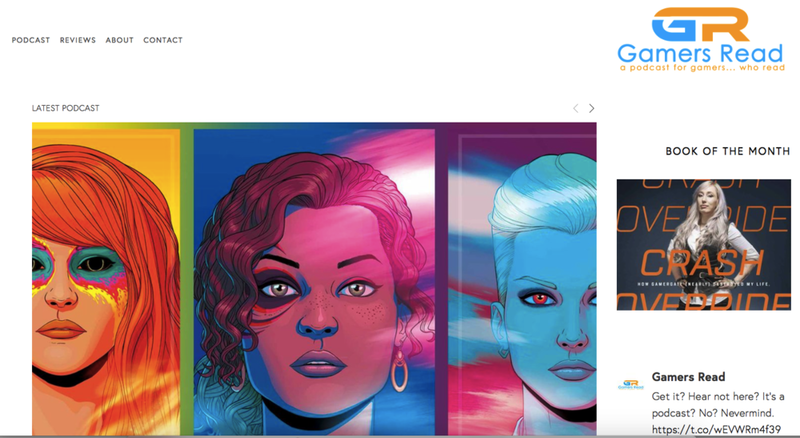 Pavanne, The Wicked + The Divine, Vol. This was our second year of doing GamersRead. Not all the books we read were great. Four of the seven books that received a one or two star from me was from the podcast. But we had a great time recording this year. I'm super proud of the podcast. I'm super proud that we've consistently recorded great episodes, and I hope 2018 brings another great year for the podcast.